Flexible silicone sealant specifically designed for the sealing of sanitary fittings and kitchen units, joints between tiles, waterproof jointing compound for wet rooms. 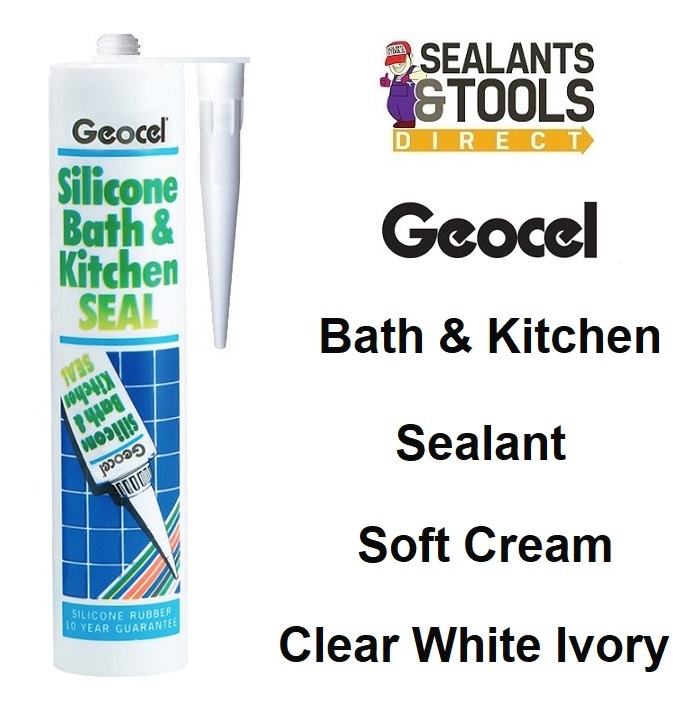 Geocel Bath and Kitchen sealant gives excellent adhesion to most non-porous surfaces. Superior product with less fillers than cheaper alternatives. High modulus-low movement acetoxysilicone sealant. 10 year guarantee as stated on the tube.